Really quick hack. I was about to chuck out a broken Xbox 360 (already brought back from the dead 3/4 times) when I noticed its power supply was fairly beefy – rated 14.2A at 12V. Turns out these are really easy to hack and work great as radio power supplies, so long as you don’t need more than 14A. Chop off the plug, connect the red and blue wire together, then solder the three yellow wires to the positive side of your chosen power connector , and the three black wires to the negative side of your connector. My big radio draws 15.6A transmitting 100W into a dummy load, which is above the rating on the label of the PSU, but it didn’t seem to mind! No heat detected even after quite a bit of testing – voltage dropped only to 11.93V. Safest to keep within the rating of course. No detectable QRM showing up on the SDR, so they seem to be pretty quiet. 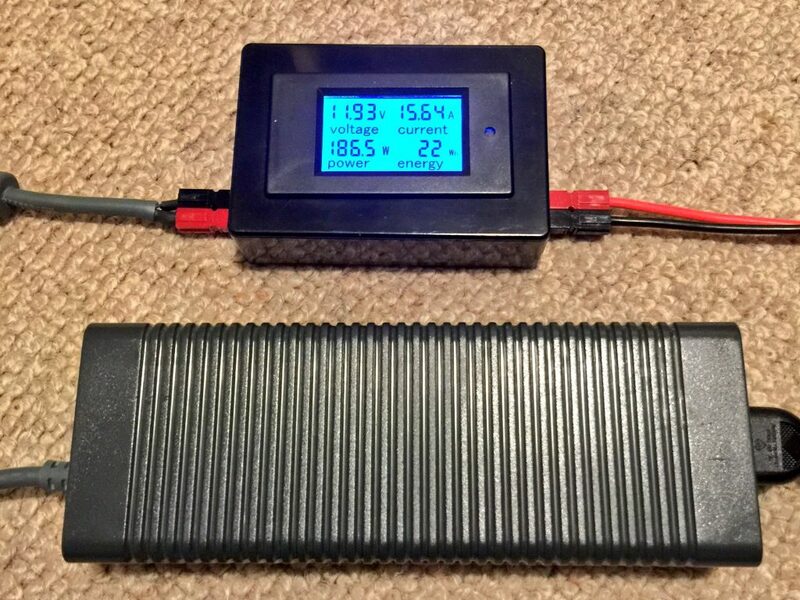 While not small, these power supplies are certainly smaller and lighter than the vast majority of 12V power supplies you see out there for ham radio / bench use. Not bad for £0 and about 10 minutes work. These power supplies are readily available on eBay for £10 to £15. Easy mod! I use 30A Anderson Powerpoles for all my 12V connectors – including replacing all the non-standard connectors on all of my rigs. Sotabeams sells them for the best price I’ve been able to find in the UK.